HomeSports & OutdoorsBlow-Out Sale! 50% Off Speed Cable Rope. Only $4.95! CLEARANCE!! For 3 days Limm will be offering 50% OFF on our Limm Speed Cable Rope! 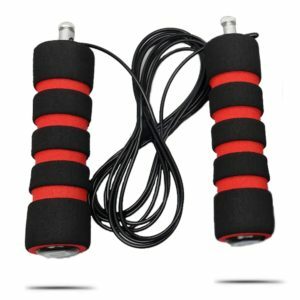 High speed, lightweight, easily adjustable and comfortable to use, the Limm Speed Cable Jump Rope is your new tool for your cardio workouts and fun! No Reviews Needed!! Specification: Blow-Out Sale! 50% Off Speed Cable Rope. Only $4.95!